They reflect most of the sun’s harmful UV rays and decrease glare on television and computer screens. They are wipeable, come in a variety of color options, and have a sleek, modern look. 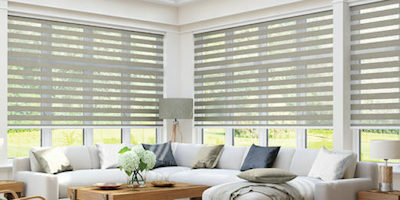 Light filtering roller blinds are material blinds allow some light to penetrate the material while preventing anyone from seeing through the material. This allows for light filtration while providing privacy. They come in softer materials with various textures and contrasting color options. 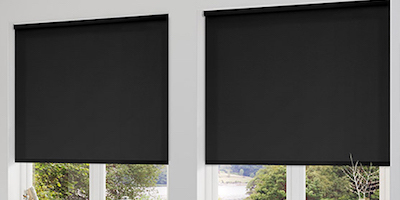 Blockout roller blinds are a simple, practical and elegant solution to light penetration. They are most common in bedrooms. Some blockout materials can be used in damp areas such as bathrooms as well. The materials themselves blockout 100% of the light. These versatile outdoor roller blinds can transform any outdoor area into the perfect year-round entertainment area. 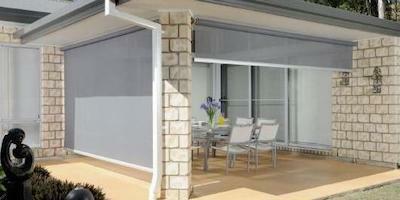 Outdoor roller blinds require almost no maintenance and are available as both crank and motorised systems. 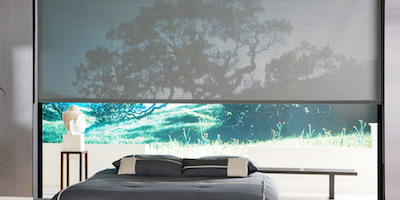 Duo roller blinds are a modern, innovative design that add style and elegance to anyone’s home. 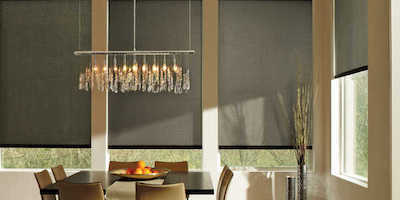 This blind is made up of parallel shades in a single unit that alternate sheer material along with either light filtering or blockout material. This allows you to balance light and privacy with the use of a single chain. Double bracket roller blinds are an innovative solution that has been developed to mount two individual blinds on one single bracket. This allows you, as the user, to enjoy the pleasure of both a translucent sheerweave roller blind and a blockout roller blind in the same window. This solution gives you the best of both worlds without the space and installation concerns of two separate blinds. 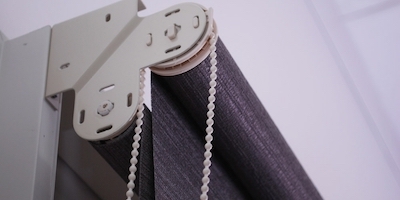 Motorised roller blinds eliminate the need for chains. Not only do automated blinds simplify and modernise your window shades, they can also be battery operated or solar powered where necessary. 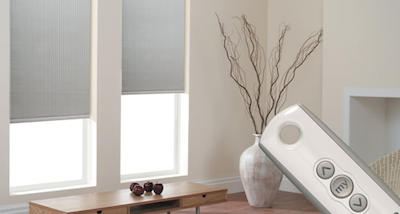 Motorised roller blinds are also ideal for high-up, hard to reach windows as they are remote control operated. 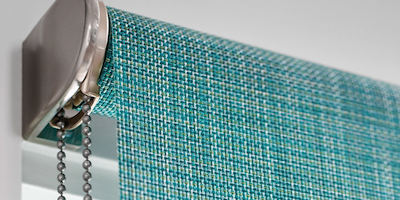 By ordering your roller blind “reverse roll” or “waterfall” you will ensure that the roll itself is concealed when the shade is down. This can very practical too, especially if you have obstructions such as protruding handles that would be in the way of a regular installation. It is important to keep in mind that waterfall installations do allow more light in than regular “back roll” roller blind installations. 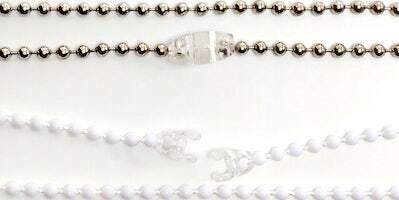 You will have the option to choose between regular plastic beaded chains or metal beaded chains when ordering your blind. We recommend metal chains as not only do they add style to your window shades for minimal additional cost, they are the more durable option. Please discuss child safety with us when ordering your blinds as we do offer hold down cleats. 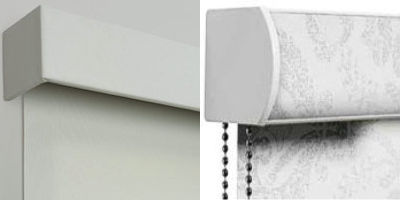 Customers can choose from different wood valance options should you want to cover the roll and mechanism of the blind. This optional extra enhances the aesthetic appearance of the blind and provides for a more upmarket look and feel. Another alternative is a cassette system. This is a decorative casing that holds the blind mechanism inside it and is covered with the same fabric as the blind itself.